Advanced Fantasy Baseball: Trayvon Robinson: Coming Up on Friday? Trayvon Robinson: Coming Up on Friday? Trayvon Robinson will replace Greg Halman on the Mariners roster, Ryan Divish of The News Tribune tweeted Thursday. Divish cited two “well-placed and well-informed” sources in a later blog post. The team optioned outfielder Greg Halman to Triple-A Tacoma on Thursday and said they would make an announcement Friday about his replacement. 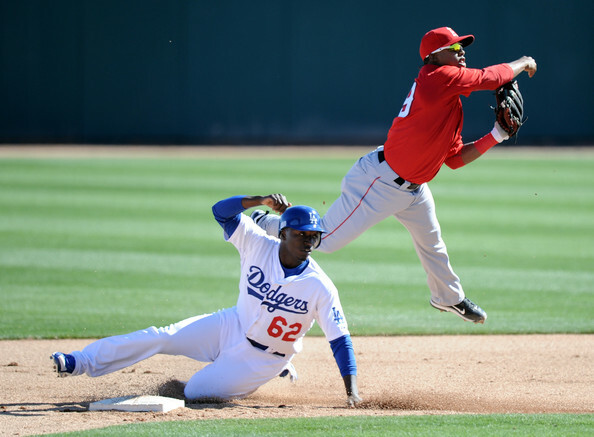 Robinson, 23, was acquired from the Los Angeles Dodgers over the weekend in the Erik Bedard trade. Jose Bautista, Best of the Best?